Permanent gallery exhibits at Jamestown Settlement highlight the culture of the first recorded Africans in Virginia in 1619 and the experience of people of African descent in colonial America. 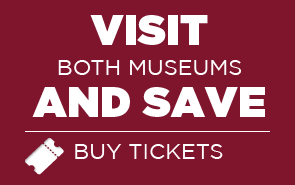 At the American Revolution Museum at Yorktown, discover stories of African and African Americans during the American Revolution. Copper alloy plaque, Kingdom of Benin, ca. 1600. Jamestown-Yorktown Foundation collection. Gift of the Gladys and Franklin Clark Foundation. The “From Africa to Virginia” theme is reflected in a printed family guide of Jamestown Settlement’s expansive gallery exhibits, which chronicle the nation’s 17th-century beginnings in Virginia in the context of its Powhatan Indian, English and African cultures. The parent culture of Africans brought to Virginia in 1619 is portrayed in a diorama that includes a full-scale dwelling and artifacts from the Ambundu culture of Angola. A dramatic multimedia presentation describes African encounters with Europeans, the impact on African culture, and the development of the transatlantic slave trade. Other exhibits tell about Virginia’s tobacco-cultivation economy and its relationship to the evolution of slavery in the colony. A structure re-created from an archaeological site depicts a late-17th-century slave quarter alongside a planter’s house and Indian cabin, also based on Virginia archaeological sites. 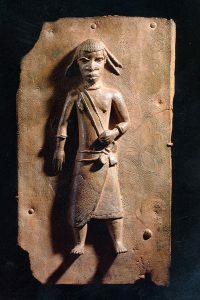 Decorative objects of ivory and metal made by west-central African craftspeople, and archaeologically found objects made or used by enslaved people in Virginia can be seen in the gallery exhibits. Jamestown Settlement gallery African exhibit themes are reflected in two special tours available to groups with advance reservations. Stories of citizens and soldiers of the American Revolution unfold at the new American Revolution Museum at Yorktown, featuring an introductory film, immersive gallery exhibits and living-history experiences in re-creations of a Continental Army encampment and Revolution-era farm. “Liberty Fever” features stationary silhouettes and moving shadow puppets scrolling by on a large “crankie” interwoven with live-action film segments to tell the stories of five people who lived during the American Revolution, including Billy Flora, an African-American hero of the Battle of Great Bridge in Virginia in 1775. The film, shown every 30 minutes in the museum theater, recently won the American Alliance of Museums’ Gold MUSE Award. Ayuba Suleiman Diallo, by William Hoare, circa 1733, Jamestown-Yorktown Foundation collection. Iconic artifacts of the American Revolution and early national periods are among close to 500 objects on exhibit at the American Revolution Museum at Yorktown. Along with immersive environments, dioramas, interactive exhibits and short films, period artifacts engage visitors in the story of the American Revolution, from its origins in the mid-1700s to the early years of the new United States. 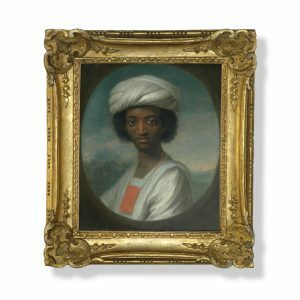 See a circa 1733 portrait of Ayuba Suleiman Diallo, one of the two earliest known portraits done from life of an African who had been enslaved in the 13 British colonies that became the United States of America. Also on display is a first edition of the Phillis Wheatley volume, Poems on Various Subjects, Religious and Moral, published in 1773, with her portrait as its fontispiece. In the Revolution section of the galleries, Billy Flora is featured in a diorama with special effects about the 1775 Battle of Great Bridge in Virginia. The wartime homefront is portrayed in three-dimensional settings that provide a backdrop for the stories of diverse Americans – Patriots and Loyalists, women, and enslaved and free African Americans, including Benjamin Banneker, a free African American who became famous in the 1790s as a scientist and writer. A “Personal Stories of the Revolution” interactive exhibit, featuring actors in period attire who portray 20 different people of the Revolution, shares the stories of Billy Flora and James Lafayette, an enslaved African American from New Kent County, Virginia, who successfully spied on the British for the American forces, and then spent much of his life after the war seeking his own liberty from slavery. The Revolution-era farm, evokes the world of the 18th-century family of Edward Moss (c.1757-1786), whose life is well-documented in York County, Virginia, records. Moss leased 200 acres from a wealthy cousin and at the time of his death owned six enslaved men, women and children. The story of Edward Moss and his family provides historical interpreters a frame of reference for talking about farm and domestic life as well as the lives of enslaved African Americans during the American Revolution period. 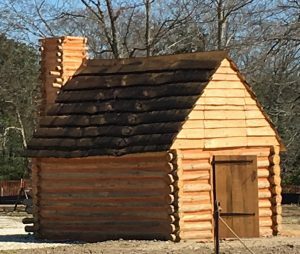 A distinctive new feature of the farm is a 12- by 10-foot building to represent quarters for enslaved people, adjacent to a swept yard and small garden. It is constructed of log walls and wood clapboard eaves and roof and equipped with a fireplace and stick and mud chimney as well as a storage pit common in this type of dwelling.